Why should you consider fully assembled kitchens from Kitchen Shack, instead of flat pack kitchens? Kitchen flat packs are popular in Melbourne, due to their inexpensive nature. However, Kitchen Shack is quite unique. Using their bulk-purchasing we provide fully assembled kitchens. This means there is no allen key and time wasted to drill and assemble each component. Not only will this save you time it will save $s. We are competitive to cheap flat pack kitchens and cabinets, while saving you the labour of assembly – it’s the easiest way! 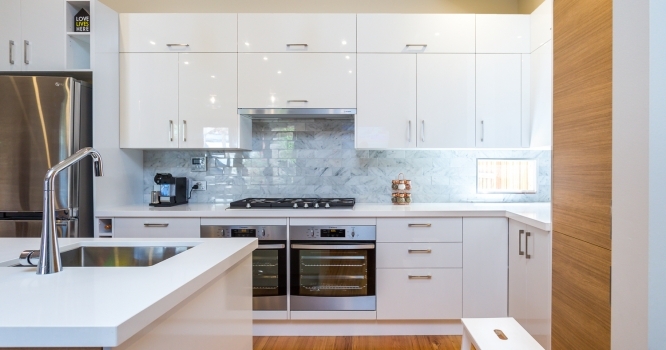 While flat pack kitchens are also affordable and easily transported, flat pack kitchen cabinets can be frustrating, laborious and time-consuming to assemble. Many flat pack kitchen suppliers charge up to $150 to assemble a single cabinet. For example if you had a 12 cabinet kitchen the cost to assemble the cabinets would be $1,800 – there is a saving straightaway. So for a cheaper and easier solution Kitchen Shack’s line of fully assembled kitchens and cabinets is the way to go. Not only will you get the best price in Melbourne, along with a DVD tutorial on kitchen installation we will also beat any same product and service kitchen price by 5% – we are serious about saving money for kitchen buyers. Kitchen Shack is here to help 6 days a week! 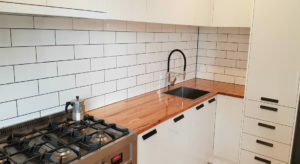 With our wide range of extensive experience in Kitchen installation and design, the staff at Kitchen Shack can help you with every aspect of your kitchen project. All we need are measurements of your kitchen including any windows, doors, architraves and appliances and we will design your kitchen in store free of charge. Our kitchen software program will show you real life what your vision is for your ideal kitchen. We have experienced, professional designers on hand in our showrooms to help you find your ideal Kitchen Shack kitchen. Once your choice is made, you are quoted a price on the same day as your design. Your kitchen components and cabinetry are delivered and you are free to install your new kitchen at your leisure. Or, as most of our customers find we can help you with installation – the choice is yours! Our Kitchen Shack kitchen styles can be viewed online, offering you all the choices for your ideal kitchen right now. Or, visit one of Kitchen Shack’s three Melbourne showrooms located at Preston, Kilsyth and Maribyrnong, to see them in the flesh – we know you will be impressed with our quality. So if you are looking for the highest quality DIY Kitchen products available at the most affordable prices in Melbourne then check out Kitchen Shack. We offer the finest fully-assembled kitchens at flatpack prices. Come and visit us today at a showroom near you!